8 Weeks and Already on the Move! Smiles all of the time! Cooing at people and at mobile on the swing and on his floor gym. 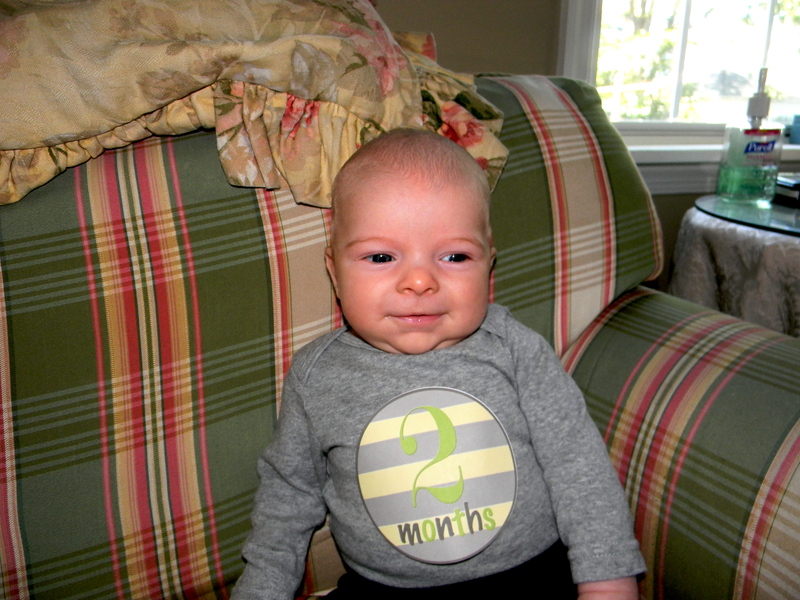 At his last weight check 2 weeks ago, he was already 11lbs, 12.5 ounces and healthy! Having more wakeful periods but still eating every 3 hours during the day. You hold your concentration more and are really starting to focus. You slept through the night twice 9pm-6am on August 8 and 9, but have not done it since. Typically you wake once around 4am to nurse after you go down about 8:30-9:30pm and will wake up again about 7-7:30am to eat again. 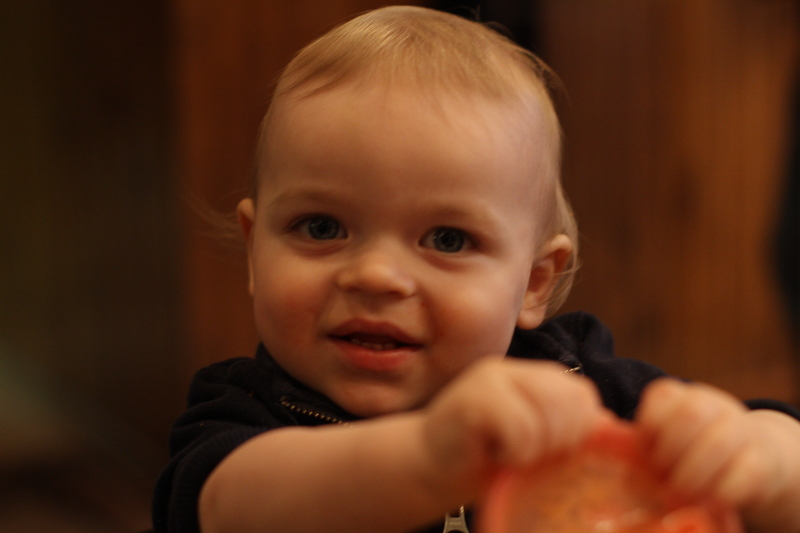 You are now starting to hold onto things and enjoy exploring new textures that Mommy introduces you to. Sounds are very interesting and usually will stop you right away as you open your eyes wide and focus on what is making the noise. 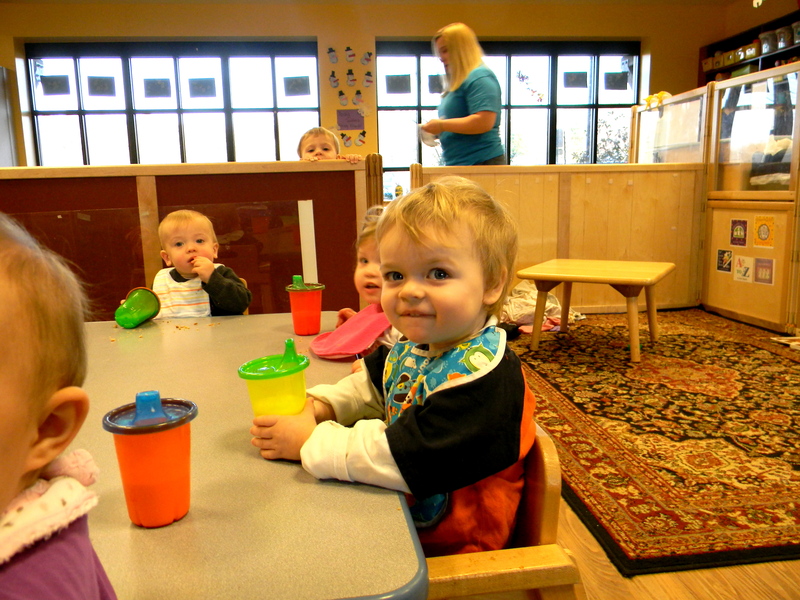 We have been giving you a bottle a bit more frequently to prepare you for when you start daycare next month. Mommy has also been working on building up a nice supply for when that happens- pumping about 4oz either side in the morning! Whoo hoo! Still happy with your bluffer, but don’t take it all day long (thank goodness). Right now, you are going through a little Mommy attachment phase where the only person who calms you down and the only person that you wish that will hold you is Mommy. I am secretly loving this, but I know that it is important that you be willing to go to other people as well. You can hold up your head when on your tummy for a while and is slowly getting longer and longer. You have tummy time several times a day and you are happy to be on your tummy for close to 10 minutes at a time. Rolled from belly to tummy (twice!!) on Wednesday, August 14! Before he was officially 2 months!! 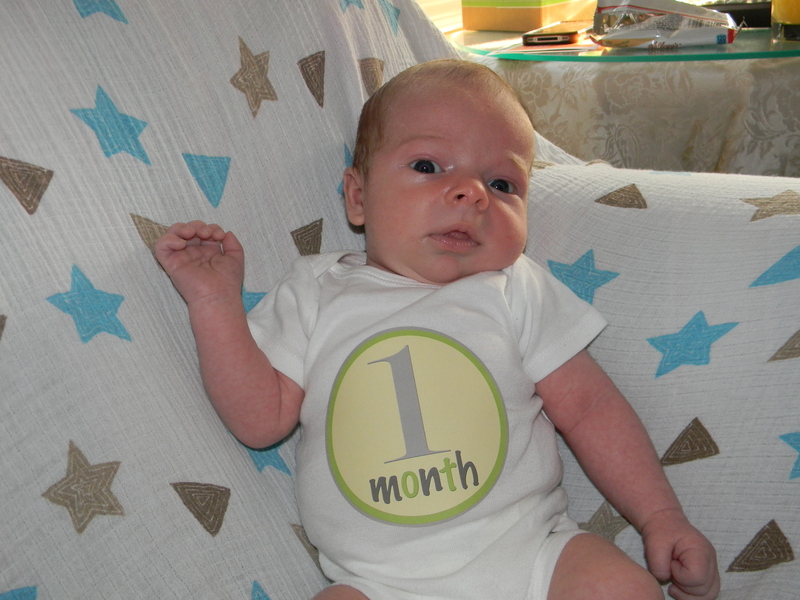 Max is One Month Old! 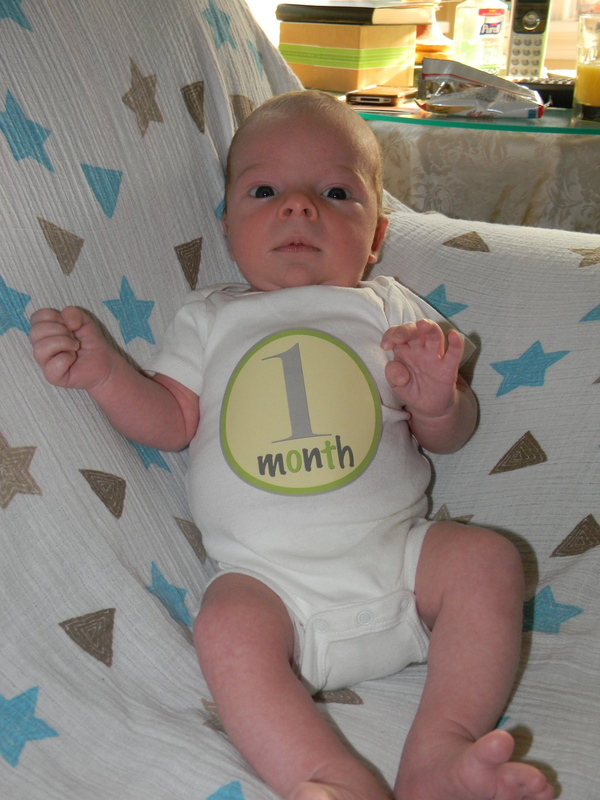 I am still having trouble processing the fact that the baby I had yesterday (well, it feels like yesterday) is already one month old! 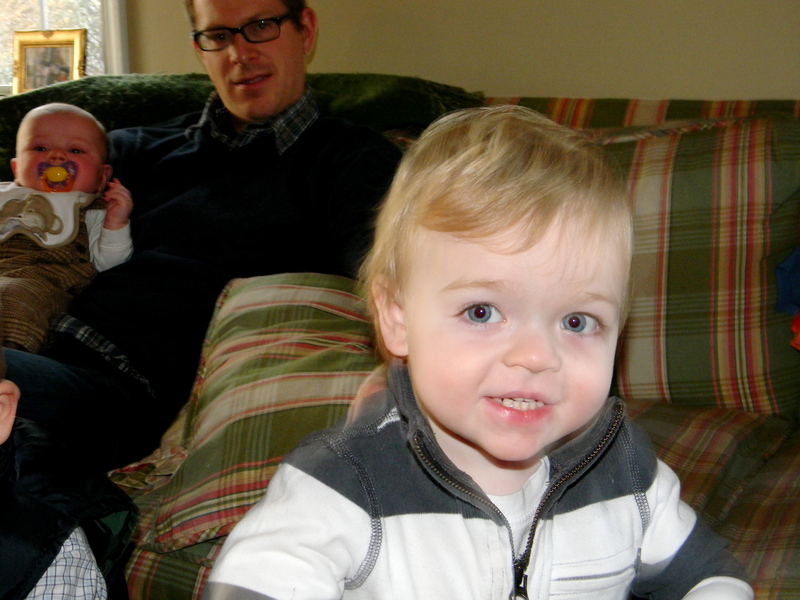 Max is such a wonderful baby and mirrors Jack as a newborn in so many ways. He is sweet, calm and doesn’t cry very much. With his easy going attitude, he fits right in with our family. Having more wakeful periods but still eating every 2-3 hours. 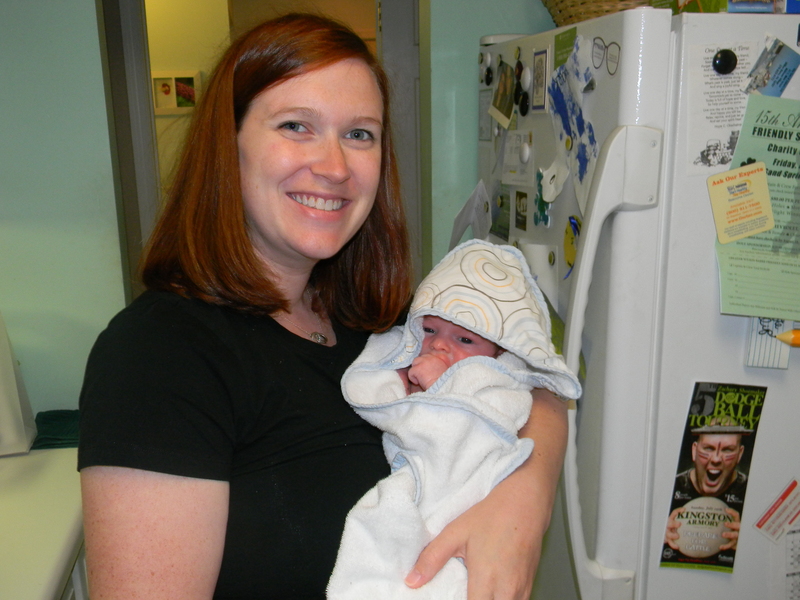 The longest stretch between feedings is during the night where you will sometimes go about 4 hours between feedings. You enjoy your swing, being held, watching Jack play, going for walks, riding in the car and lullabies. You have only had a few select bottles since you have been born, but you absolutely prefer to nurse over everything. Occasionally, you will take the bluffer and will sometimes hold it in your mouth with your fist! We have a weight checkup tomorrow, so I will update that when we have your current weight, which I am guessing is around 9lbs, or close to 10lbs. We are absolutely crazy for our Max! So blessed! If there is one book that Jack asks to be read over and over and over, it is The Very Hungry Caterpillar. He points to each food and finds the egg or caterpillar on each page. Truly a favorite book of his. So, we decided to theme his second birthday around his favorite book. My friend, Pam and her wonderful Etsy store, Announcing a Miracle, was happy to help customize a party pack to go around the theme. She did a beautiful jobs, just as she did last year with his Little Prince theme. We kept the party small this year (close family and a few close friends) as there was a party for my mother’s birthday the following day and my flight to Vegas for work was at 6am on Monday morning. Can anyone say crazy weekend?! 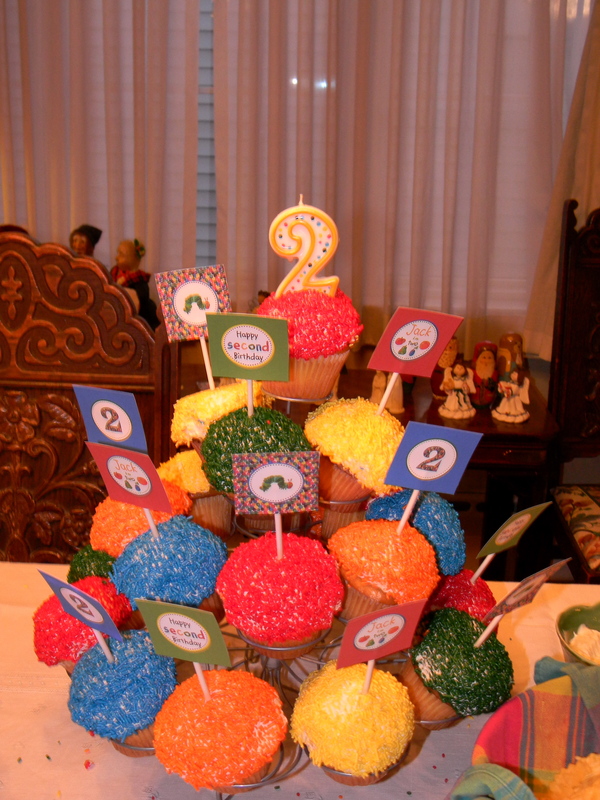 Some of my favorite things from his party at home were the cupcakes and the decorations. The cupcakes, which I had totally planned on making myself but ran out of time, were from Wegman’s and they did multi-color sprinkles on the cupcake icing instead of food coloring, due to allergies. 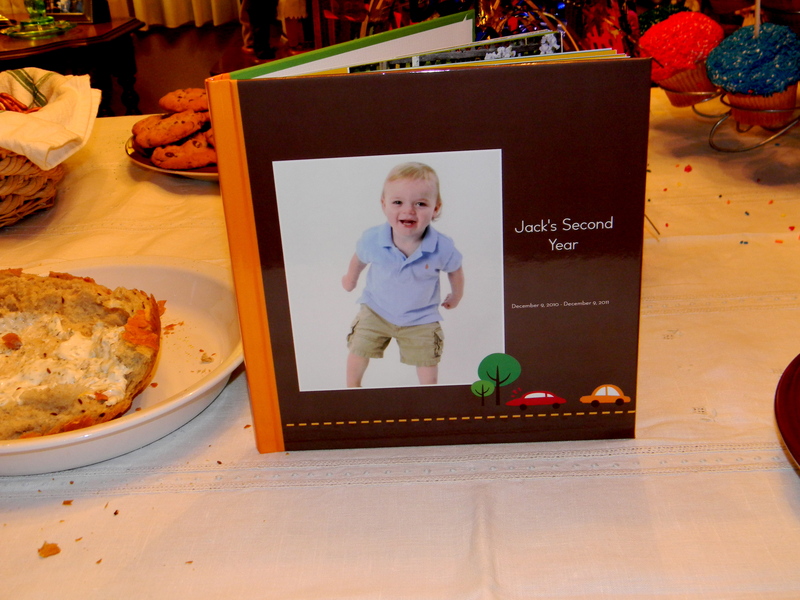 Everyone loved the video that I made of Jack’s second year and his Shutterfly photo book, which will both now be a tradition in our house for all of our children. As there were very few children, and the ages were not the same, we decided against games and left the playroom open for all of the children to play with the toys. The little ones loved playing with each other and had a wonderful time. Jack got some wonderful gifts from everyone and had some help from his little friends with opening everything and reading the cards. Everyone had a wonderful time and we rang in another wonderful year of Jack’s life. Although I don’t want to use an excuse, I truly have been so incredibly busy with my new job to take time for myself and blog, which is terrible because I really do miss it. But by the time that I walk in the door after 6pm, make dinner for Jack and Chris (who are STARVING), give Jack a bath and prep for the next day, I am wiped and completely ready for bed. We do have some additional exciting news to share…. Jack is going to be a big brother this coming June! This pregnancy is the polar opposite of the pregnancy that I had with Jack. Polar. Opposite. It began with feeling symptoms before I even took a test! 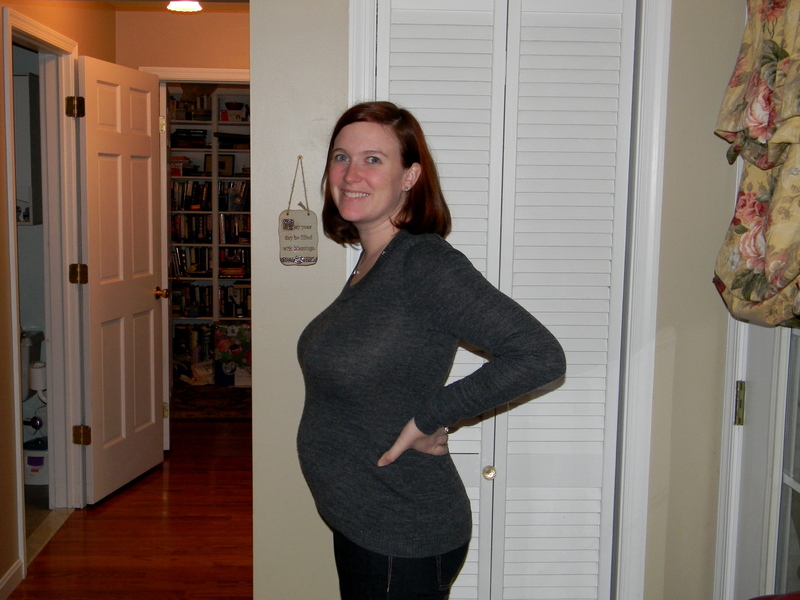 Now that I am officially in the second trimester, I am feeling human again. 17.5lbs lost so far in the first trimester (as of yesterday’s checkup), no severe nausea and vomiting in a little over a week, and my appetite is beginning to come back. The nausea is still here, but not as terrible as it has been. The fatigue has been unbelieveable! By 8pm, I am ready to throw in the towel. It is all for a wonderful miracle growing in my belly, so I am happy to endure as we know where this will bring us in about 6 months. 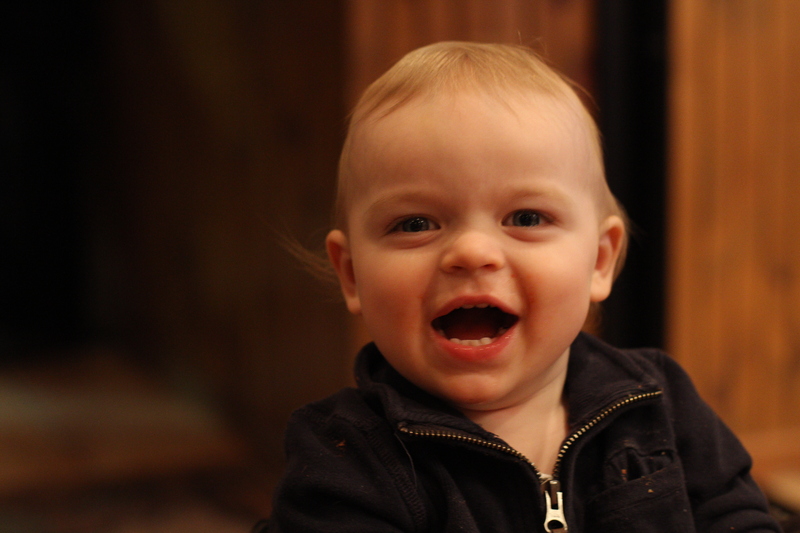 Jack officially turned 2 yesterday, which is still a shock. No longer just a small toddler, but now in full-blown toddler mode. 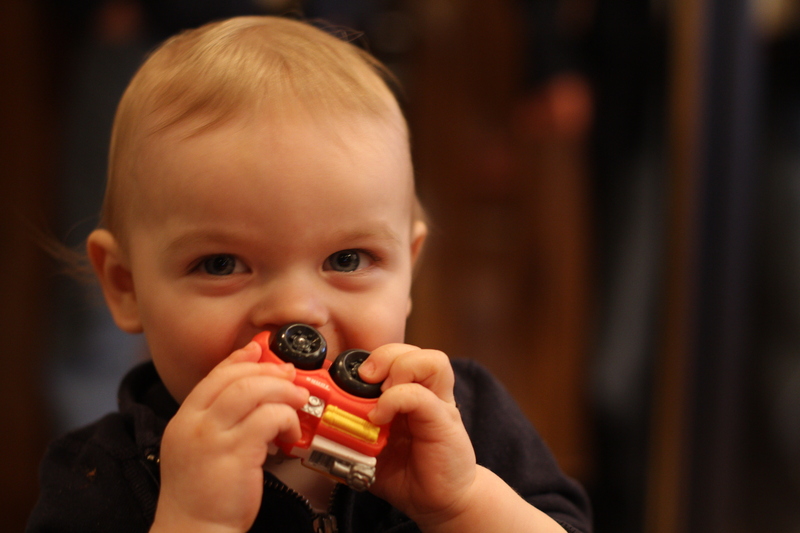 He loves Cars, trucks, Daddy, Mom and his Mommy. Yes, in family tradition, my sisters and I grew up calling our maternal grandmother “Mom” and although we did not teach Jack to begin calling my mother Mom, he decided to begin calling her “Mom” on her own. 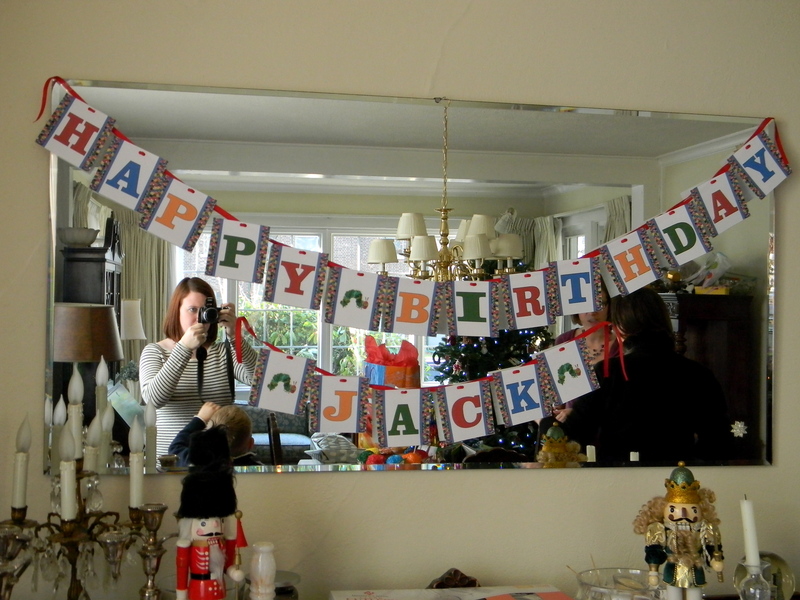 Later on today, we will be having a small celebration for Jack’s birthday with the family and a few friends. He had his class party yesterday where we brought in cupcakes and he enjoyed his last day in the Younger Toddler room before moving upstairs to the Older Toddler room on Monday. Daddy will have to be the one to see him off and wish him well in his new room as Mommy will be on an airplane to Las Vegas for work. I plan to really make a conscious effort to try and keep up with the blog, beginning tomorrow following today’s party. Seventeen months. Almost a year and a half. If I followed in Grammy’s footsteps, I would be expecting your sibling next month, but alas, I am not. Each day you seem to be losing your little baby face and dropping the extra baby fat and rolls on your legs. It makes me so happy to see that you are growing and maturing and that you are healthy, but a part of me is not ready to say goodbye to the baby part of you yet. I still long to pull out the baby swing, swaddle me’s and bottles and bring you back to a time where you would cuddle, sleep in my arms and drink a bottle as if I hadn’t fed you for days. I really miss that. But, I am so happy to see you thriving! You are taking on more words each day and learning so many new things! You used a bat to swing a ball off of a tee on Friday night and did well! Daddy was pleased and is still hoping that you will be our little left-handed pitcher! 😉 Only time will tell, and although it seems like time is flying for me, I am thrilled that you are enjoying all that life has given to you so far. 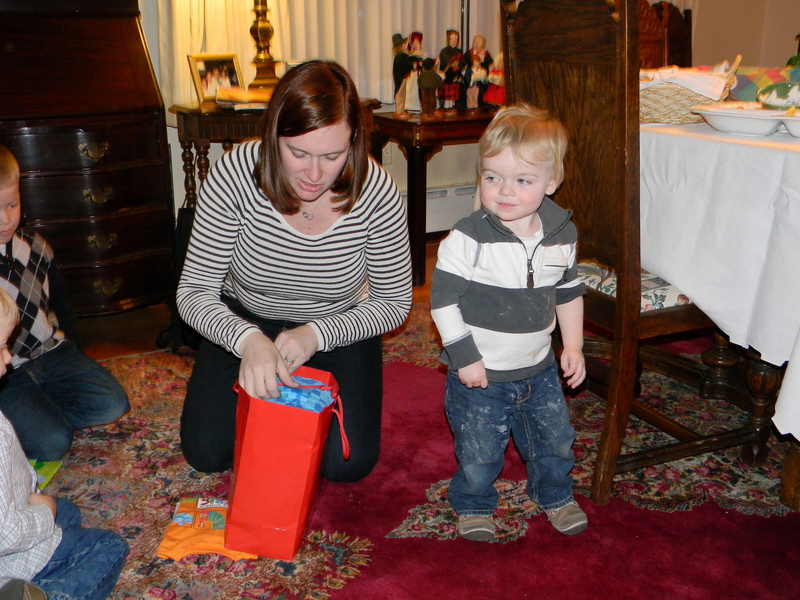 Clothing: You are still wearing 18-24 months clothing, and a few things are size 2T. Shoes: Still wearing a toddler size 6. I haven’t had your feet measured again yet but your shoes seem to fit just fine. Diapers: Size 4 all day and all night. Teeth count: 4 molars and 8 other front teeth. You are cutting your bottom right incisor as we speak. Favorite toys: Your new Mega Blocks set from Grammy on Easter! Each morning, you wake up and imediately grab the bag of blocks and drag it to me to open it so you can pour them out and start building. Smart boy! 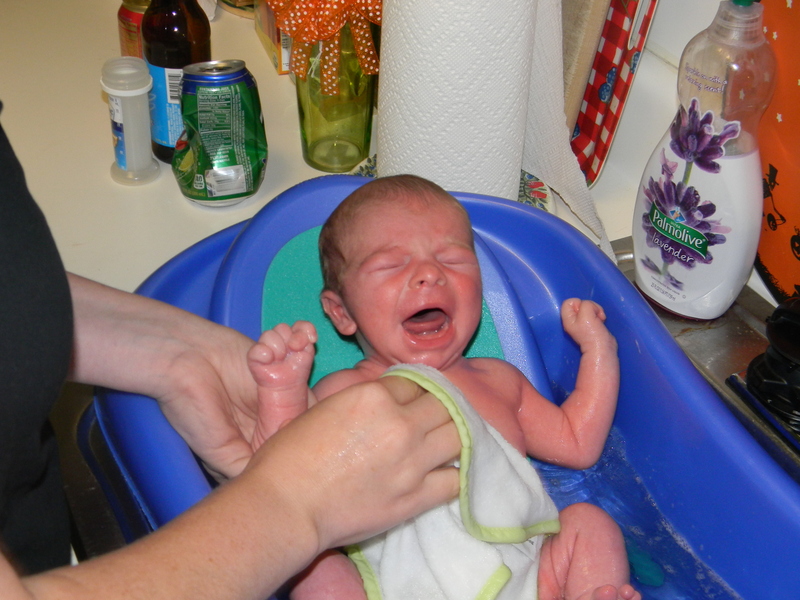 You have learned to: Take off your diaper. You haven’t begun pulling down your pants yet, but if you are pants-less, hang on to your hats because that diaper is coming off. Sleeping: Still going to bed at 8 p.m. and waking around 8:00/8:30 a.m.
Naps: Going down around 1:00 p.m. and sleeping until 4:00 or 4:30 p.m. Accomplishments: You are gaining much more skill with feeding yourself with utensils! Very proud! • Uses six words regularly – Yes, absolutely. He is probably using up to 16 different words a day. • Enjoys pretend games – He likes to pretend that he is calling someone (usually Daddy or Gidgi) and he likes to mimic what Mommy does. 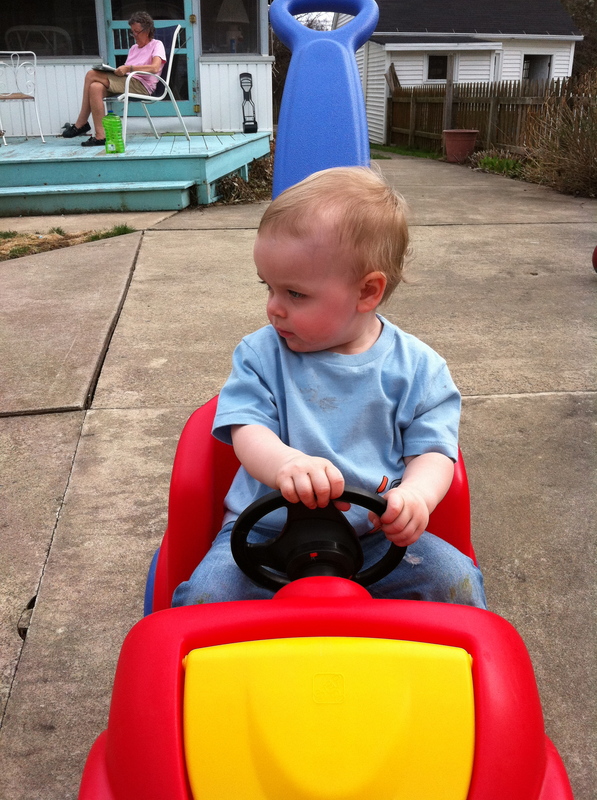 • Likes riding toys – Since the weather is nice again, we spend much time outside riding on the Kettler trike, the play car, or the dump trucks. 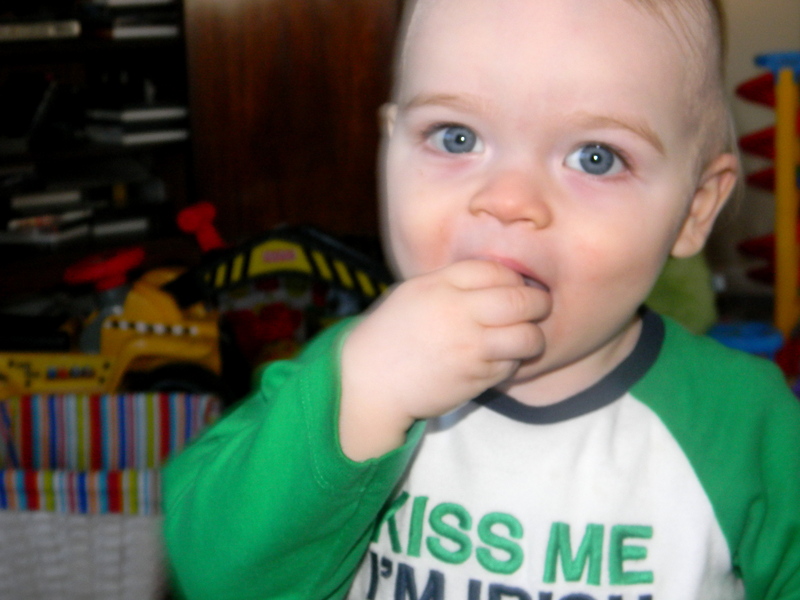 • Feeds doll – He doesn’t have a doll, but he does feed Mommy, Daddy or the dogs. • Throws a ball underhand – He usually just throws overhand, and yes, he can kick the ball as well. Smart kid. • Sorts toys by color, shape, or size – He sorts the blocks and will sometimes just build with blue ones or just put the orange ones together. • Kicks ball forward – As said before, yes, he is kicking the ball with no issues. Didn’t I just write your 15 month post yesterday? No? Well, then here is you 16 month post. You have been quite the social butterfly in March! The annual Pool Party in NJ, Parade weekend, play dates, and of course the couple of warm days that we had this month! We strolled to Dairy Queen for a quick baby sundae one day, played with bubbles, and played at the park. 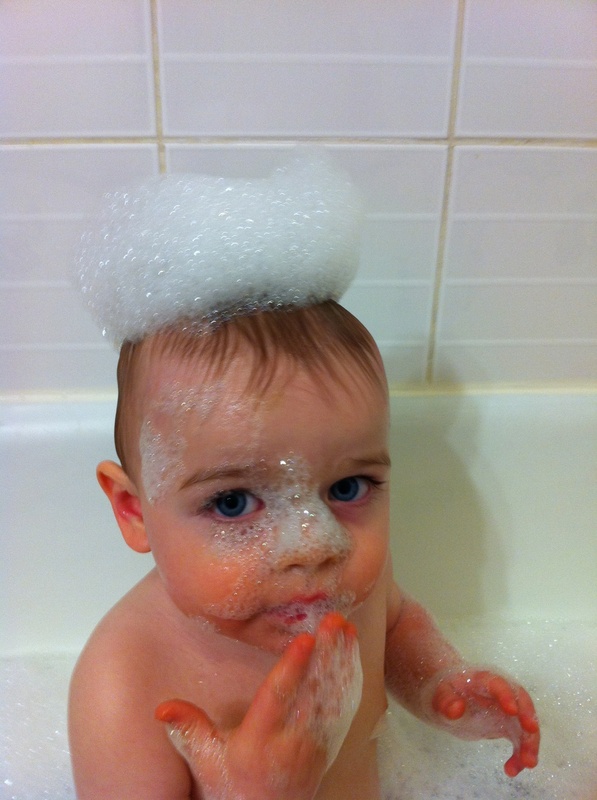 On March 24, you had your very first cold and ear infection (left ear) since last Spring! I guess that the hand washing and shopping cart covers have been doing their jobs. 🙂 With a quick trip to the doctor, we got your antibiotics, and within 24 hours, you were back to your happy self. After 5 days of antibiotics, your congestion in your chest was gone and you were just about 100% better. What a blessing you are to be a quick healer and a healthy boy! Other than continuing to grow like a weed, you have been keeping your lean and long body busy. Diapers: Size 4 all day and all night. We did order and assembled your new potty for when we begin potty training this summer! Teeth count: 4 molars and 8 other front teeth. You are working on your incisors. 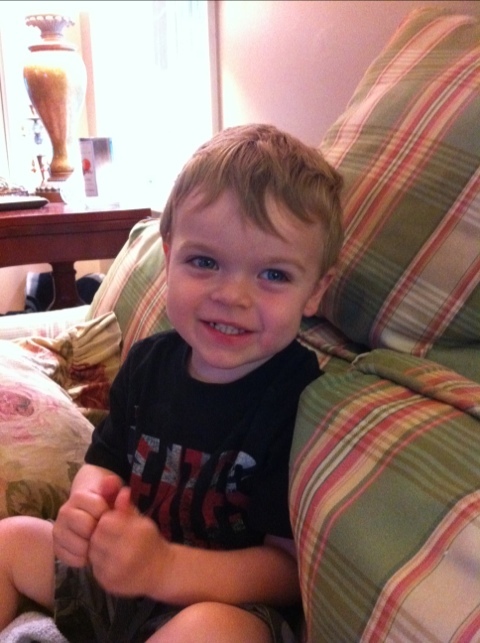 Favorite foods: You have officially begun the picky stage of toddlerhood with foods. One day, you may love Cheerio’s in milk, but you won’t eat them if Mommy feeds them to you, only if Grammy does. A steadfast and true item that you never refuse are the Happy Tot pouches. We keep those around the house at all times. Favorite toys: Grammy bought you a golf set and wooden blocks about a week ago and they are continuing to be some of your favorite toys. You enjoy stacking the blocks and knocking them over or putting them in a line. 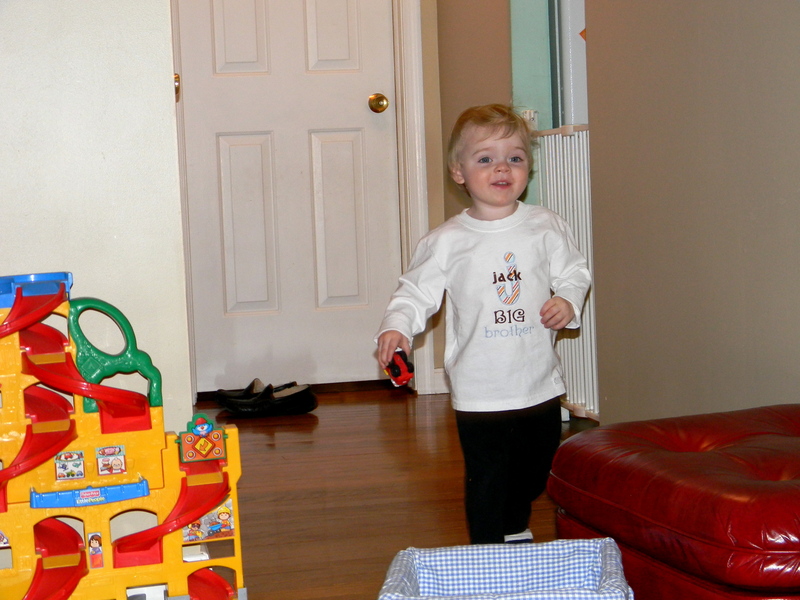 You have learned to: Open the swing gate leading into the back room at Grammy’s house. You only do it occasionally, but you still love to break free. 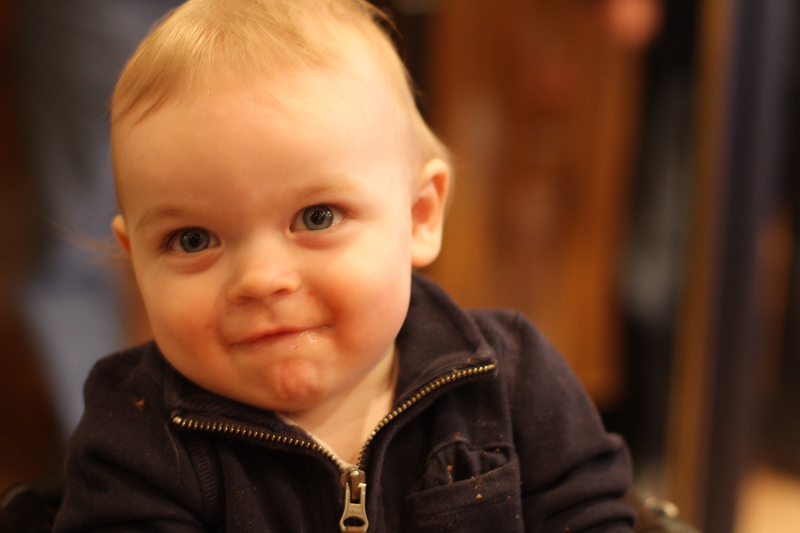 Words you are saying: No, hi, PopPop, bye bye, Mama, Daddy, Dada, Gee (Grammy), Wow… (15 months) Some new words are: duck, Gidgi (Grammy), pup, and Kay for Kate. Sleeping: Still going to bed at 8 p.m. and recently have been waking up at 7:30 a.m.
Naps: Around 15 1/2 months, you dropped your morning nap. Now, you typically go down around 11:30/Noon and sleep until 2:30 or 3:00. The doctor said that you are a tall and healthy boy! He also said that you would make for a great baseball player. • Turns the pages of a book – Has been doing this for about 2 months now. He is learning patience in the process as I read the book and tell him that it is now time to turn the page. • Has temper tantrums when frustrated – Oh yes. How could I forget?! 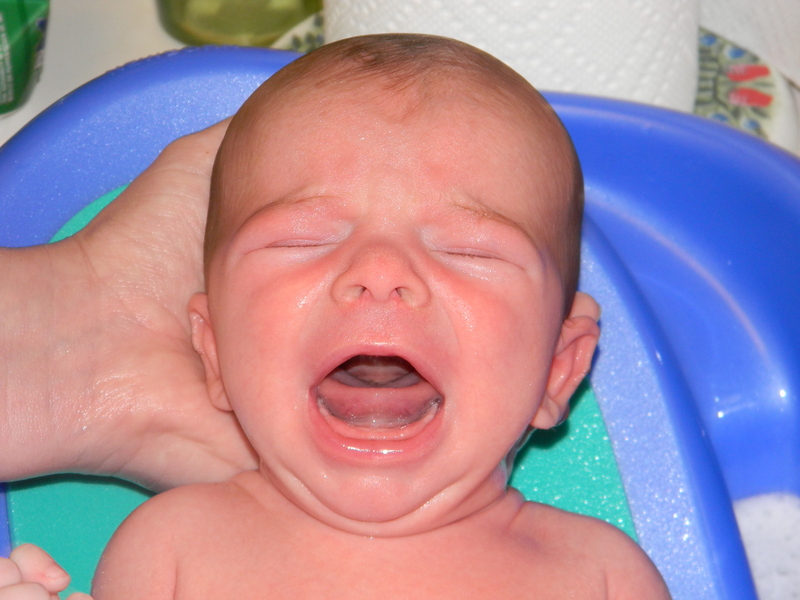 Tantrums happen about once or twice a day. Frustration is common around here when you won’t sign for what you want. 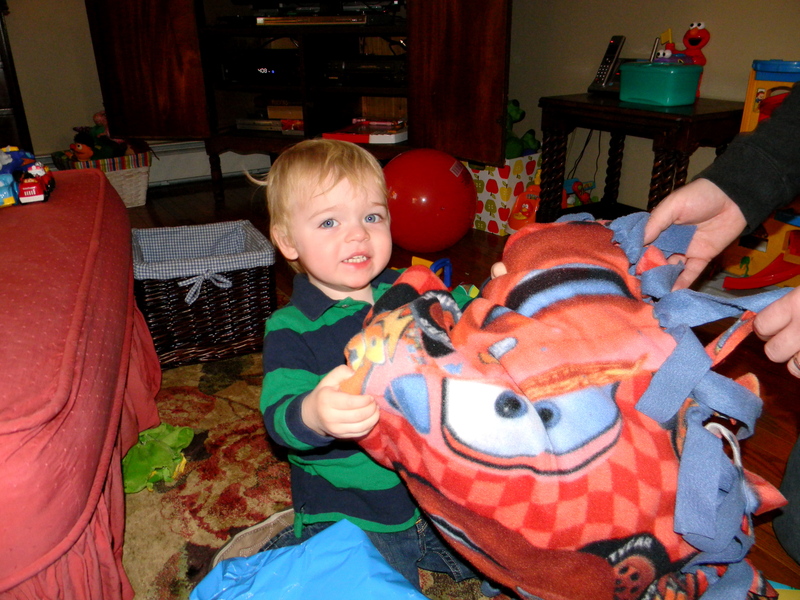 • Becomes attached to a soft toy or other object – The blankie comes everywhere with us. You love to play with it between your fingers and bring it downstairs for cuddles after you wake up. We have 2 backup blankies just in case. You also continue to love Charles, your bear. Charles also has a smaller version and a backup version. • Discovers the joy of climbing – Oh yes, you have been climbing on EVERYTHING. The bumps and bruises don’t seem to slow you down either. I keep trying to convince Daddy that we need to get you your own Pottery Barn chair, but to no avail. • Stacks three blocks – Yes, you have stacked up to 5 blocks or 5 cups. • Uses spoon or fork – You are better with a fork than a spoon, but are improving more and more. Occasionally, you get frustrated and just use your fingers, but we are working on that. • Learns the correct way to use common objects (e.g., the telephone) – Ah, the phone! You love our iPhones and your own little phones. And Grammy’s cordless phone is a favorite. • Takes off one piece of clothing by himself – You remove your socks constantly. We have also just began hiding them. • Gets finicky about food – You know what you want to eat, but no one else has a clue, so its mostly me running and finding something else that you are willing to eat. • Switches from two naps to one – At 15.5 months, you dropped your morning nap. Mommy is still crying over that one. Mommy and Daddy are looking forward to seeing what is coming in your 16th month. We love you, now and forever. Over the past month, you have been a busy boy. You have been learning so much and have been speaking new words and crawling has pretty much become a thing of the past. You are independent and love to explore new things. Since last month, you have slowly regressed into fearing new people, especially adults. The adults that you know and see often are still welcomed with open arms, but the unfamiliar ones do not get a hug or a “hi” right away. You typically cling to my leg or Daddy’s leg and say “no” if they try to come too close. On March 1, we dropped your last bottle; the night time bottle. We were surprised to see how unfazed you were to drop the bottle and just to enjoy brushing your teeth and going to bed without a hassle. You absolutely get the easy-going attitude from your father. 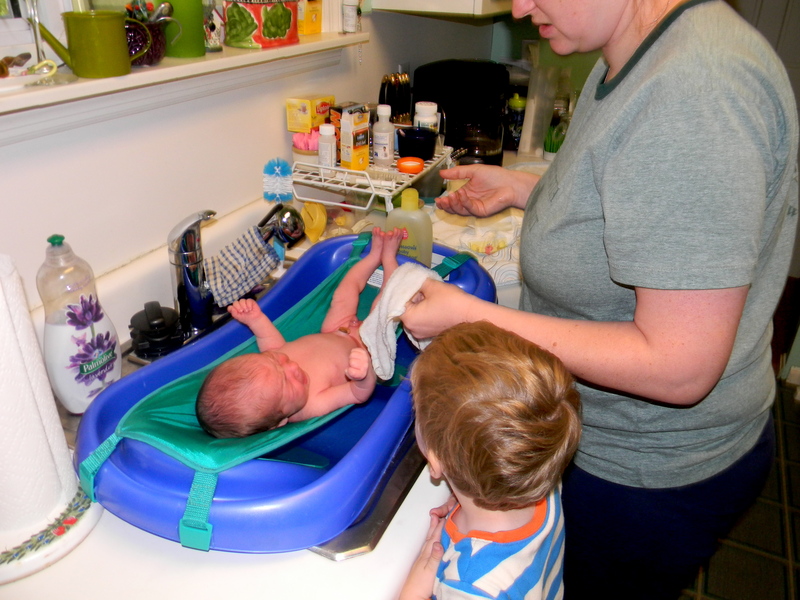 I have decided to make a list of things to compare each month to see how you have grown and to see how you progress each month, followed up with the Baby Center information on your growth. 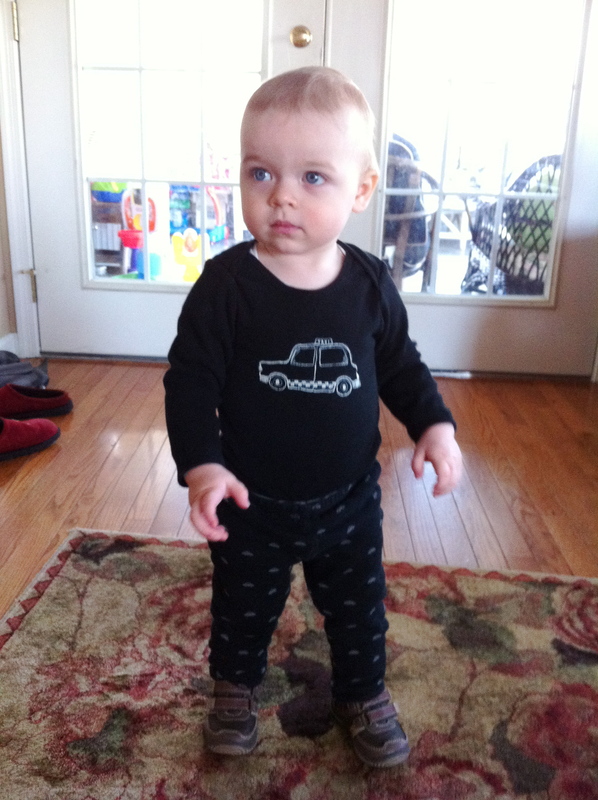 Clothing: You are wearing 18-24 months, and some things are 2T already! Favorite toys: You love the Fisher Price Farm with the animals, your Elmo toys, balls, dump truck, race car tracks, books, and pretty much anything with wheels. Oh, and your new Elmo doctor kit!! You have learned to: Climb, go down a slide, crawl up on furniture, chase the dogs. Sleeping: You typically go to bed around 8pm and you usually sleep until 8:00 or 9:00 a.m.
Naps: You are getting close to dropping your morning nap completely. But you usually sleep for about 2 hours in the morning, or a 3 or 4 hour nap from around 11:00 a.m. until around 2 or 3. One thing you love is sleep!!! Accomplishments: You can put all of the nesting cups together in order, you can stack things up to 3 or 4 items high, you are crawling up the steps, but not down, you will put the toys in the basket and follow simple directions if asked. Half of the time, you will come to me if you are called. I am just so proud of you!!! I love watching you blossom into an individual and experience new things. • Plays with ball – You love playing with the soccer ball, beach ball, etc… You are able to throw it, kick it, push it and bounce it once. • Uses three words regularly – You are using about 6-8 words regularly: Mama, Daddy, no, dog, hi, bye bye, night night, and yeah. • Walks backward – Absolutely. • Scribbles with a crayon – You are getting better and better with crayons and enjoy coloring. • Runs – Getting better and better. You can run for a while, but you do sometimes trip in between. 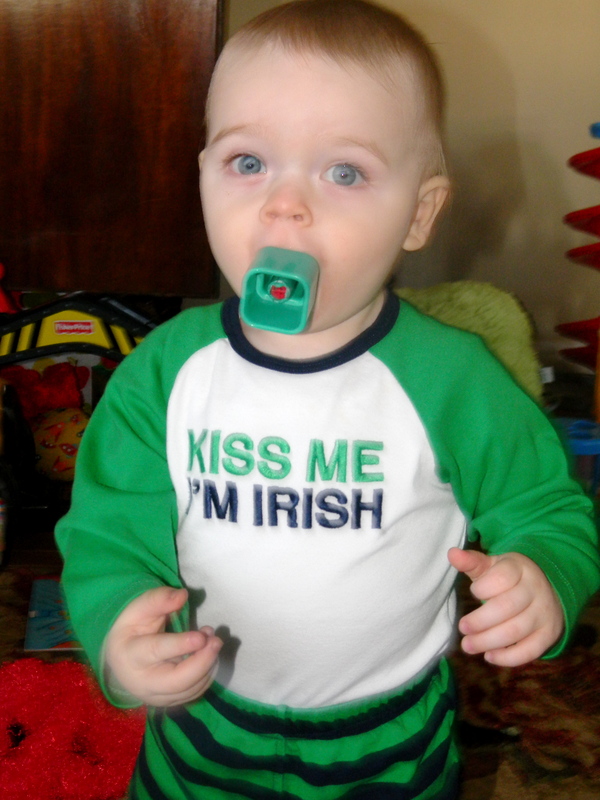 • Adopts “no” as his favorite word – “No” is a staple word in our house. I would also say that “dog” is a close second. • “Helps” around the house – Yes, you “help” Mommy by giving me items to be folded from the laundry basket or by picking up pieces of dog food and feeding it to the dogs. Much of what you do throughout the day is mimicking Mommy.